Tips and advice on what to do to keep the microscope operating smoothly and reliably. Always adhere to the instruction manual of your microscope. If you are not experienced, send the microscope in to get it serviced. How often should the microscope be sent in for maintenance? The grease of the microscope gears might become solid with time. It is then time to send the microscope in for maintenance and re-lubrication. Dust disturbs the image quality. It is better to avoid dust than to deal with it afterwards. Use only those cleaning fluids that are recommended. Ideally the optics should be cleaned as rarely as possible. Clean the optics as little as possible, as often as absolutely necessary. Every cleaning session introduces the possibility of damaging the optical surfaces of eyepiece and objective. 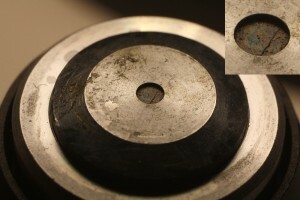 Small dust grains may scratch the surface of the optics. What are some things that have to be maintained? 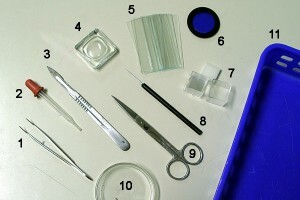 Microscopes generally do not require much maintenance. Keeping the microscope dust free is probably one of the most important maintenance tasks. What are some possible problems that used microscopes have? Unless you have worked with microscopes yourself and unless you know what you are doing, I would not buy them second hand. A dirty microscope objective significantly reduces the resolution. There are several accessories that are part of a microscopic workplace. 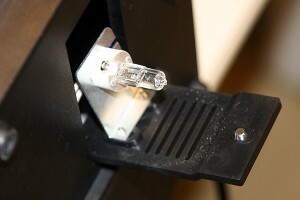 This article explains how the lamp of a microscope is exchanged. It may not apply to all microscope types.